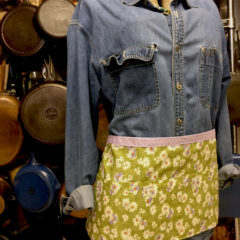 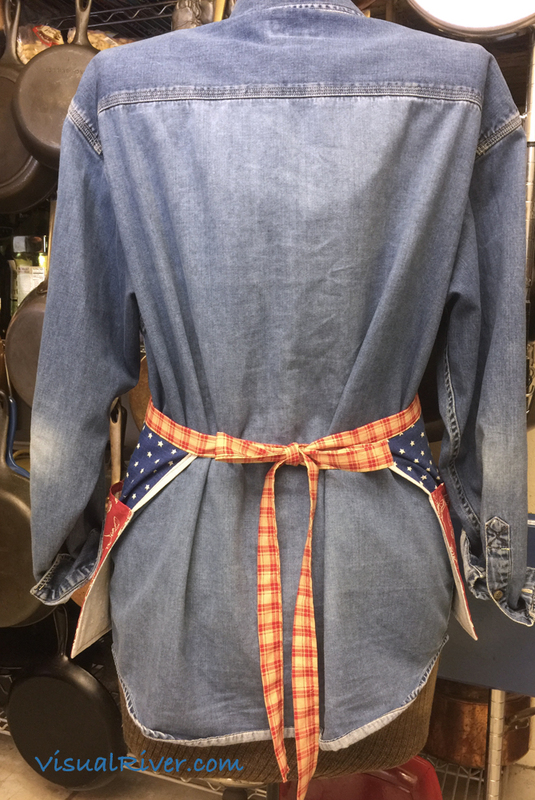 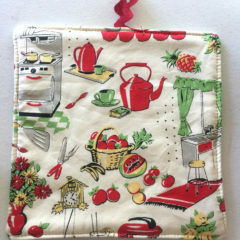 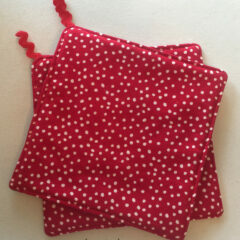 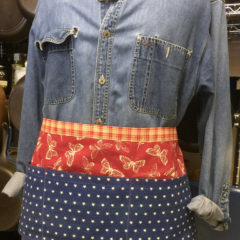 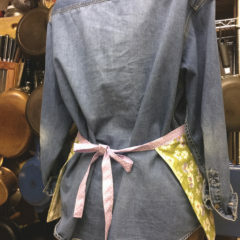 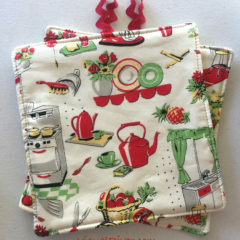 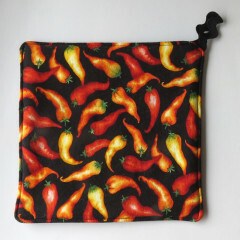 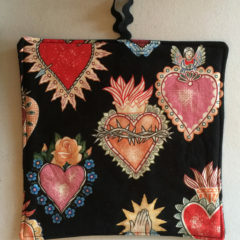 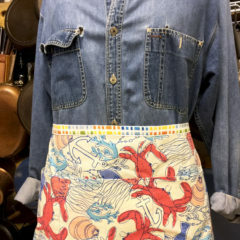 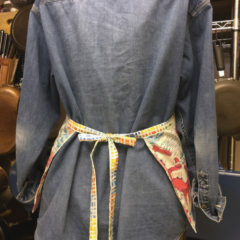 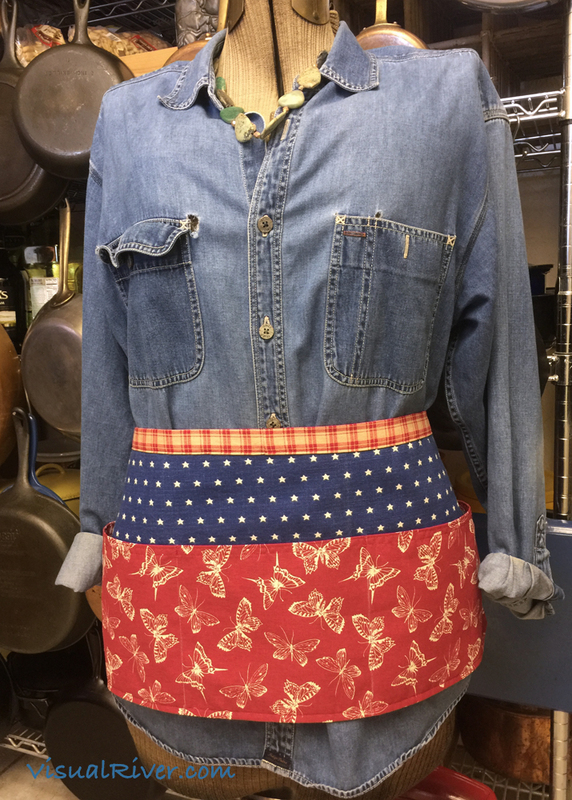 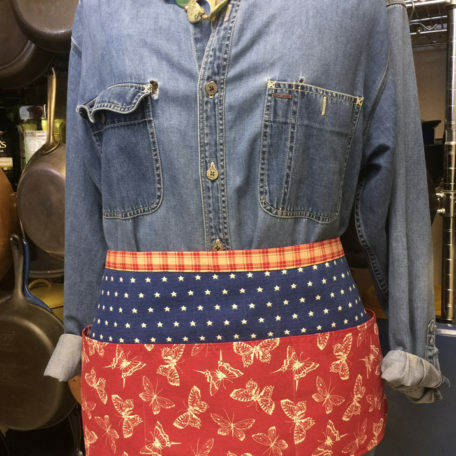 Waitress Style Apron with pocket all the way across, divided into three sections. 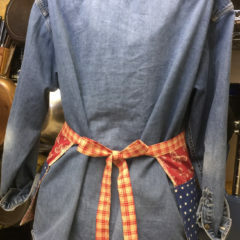 Band across top and gingham ties. 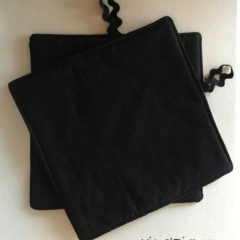 Free shipping, US First Class Mail. 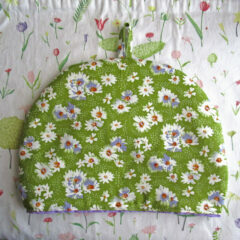 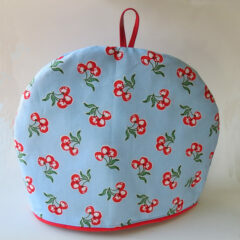 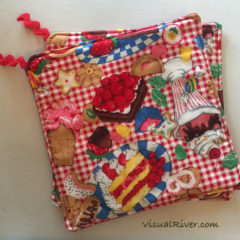 Daisy tea cozy with a coordinated lining. 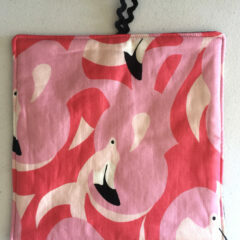 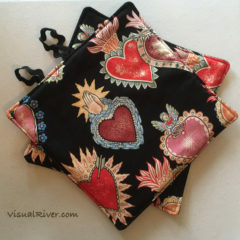 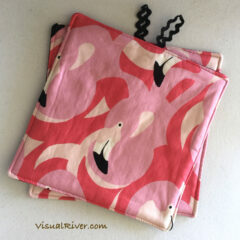 Two Flamingo cotton pot holders.